In all industries, drug and alcohol testing play crucial roles in keeping the work environment safe. DOT and non-DOT testing programs are examples of such measures companies can subject their employees to. This article explains the key differences between the two. 5-Panel testing for opiates, amphetamines, PCP, cocaine, and marijuana 10-Panel testing for methamphetamine, amphetamine, cocaine, opiates, cannabinoids, methadone, barbiturates, PCP, propoxyphene, and benzodiazepine. The US DOT (Department of Transportation) drug test screening program is relatively simple. It covers testing for the most common illegal substances and alcohol abuse. There is a huge number of accredited testing laboratories in the country. This makes following their guidelines easily accessible to all business, regardless if they are involved in the transportation industry. However, the kind of business and the service or product the employer offers will determine which compliance program is applicable to the company. 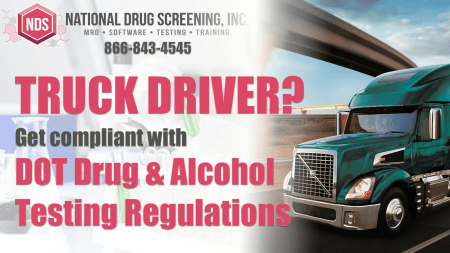 In general, if a company is engaged in the transportation industry and employs people in safety-sensitive positions, it is obligated to submit to a DOT Drug Testing Program. Examples of such job positions are school bus drivers, pilots, truck drivers, subway operators, ship captains, train engineers, and aircraft maintenance personnel. It also covers similar positions in other organizations such as the Federal Motor Carrier Safety Administration, Federal Aviation Administration, Federal Transit Administration, and more. DOT drug screening must be conducted at laboratories recognized by the Department of Health and Human Services. Urine will be subjected to a 5-Panel test which screens for opiates, amphetamines, PCP, cocaine, and marijuana. Alcohol tests are performed by collecting either saliva or by using a breathalyzer. Non-DOT drug tests do not necessarily follow DOT regulations in conducting drug and alcohol screening. Employees who only drive a company vehicle or are not directly involved in the transport of cargo and passengers are not required to undergo DOT drug testing programs. However, non-DOT drug screening can employ more tests that can detect a wider variety of prohibited drugs. In addition to urine, these tests require different types of samples which include saliva, sweat patches, hair samples, or breathalyzers. 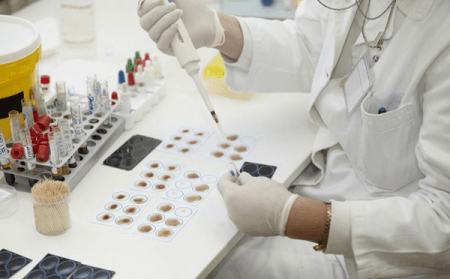 The 10-panel test is an example of a non-DOT test that delivers more accurate results and in-depth analysis of drug levels regardless of low trace amounts. Samples are tested for traces of methamphetamine, amphetamine, cocaine, opiates, cannabinoids, methadone, barbiturates, PCP, propoxyphene, and benzodiazepine. Laboratories that provide non-DOT drug testing are required to undergo certification from two accredited agencies. These are the Clinical Laboratory Improvement Act and the College of American Pathologists. Non-DOT tests are not to be conducted in DOT certified labs as legal complications may come up when the results are challenged in court. So what’s the difference between DOT and non-DOT drug tests? DOT regulations on drug and alcohol testing are imposed on companies involved in the transportation industry and that employ people in safety-sensitive positions. Companies that employ people not directly involved in transporting passengers or cargo are not required to be subject to DOT regulations in implementing a drug and alcohol-free workplace. The US Department of Transportation mandates that both tests cannot be implemented at the same time, and typically not within the same organization. DOT drug and alcohol screening takes priority over non-DOT tests. Remaining materials from DOT testing procedures cannot be used as samples in non-DOT testing. Most important, DOT test results always take precedence over non-DOT results. For instance, a negative non-DOT test result may not be used to undermine a positive DOT test result for the same person. Here’s an informative YouTube video for further learnings about DOT and non-DOT drug tests.